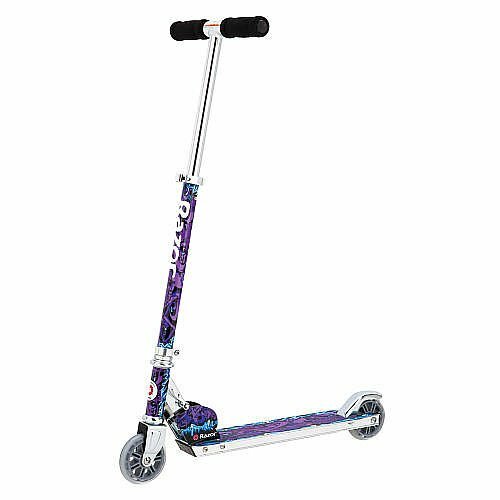 Razor Wild Style Kick Scooter Blue , selling for $73.99 brand new. Manufactured by Razor. There are 2 units left brand new. The Razor Wild Style Kick Scooter can be folded for easy storage. 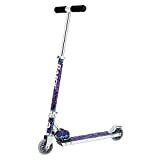 The scooter can hold riders up to 143lbs. Item dimensions are 26 inches x 13.5 inches x 34 inches – weight 6lbs. Fold dimensions are 24.25 inches x 4.25 inches x 8 inches.